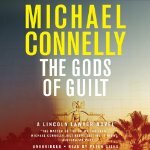 This is Connelly’s new one starring criminal defense attorney Mickey Haller, a “Lincoln lawyer” – which means he works out of his car. Haller gets a call to defend Andre LaCosse, a web-designer (a digital pimp) who is in jail on charges for having murdered a client, Giselle Dallinger, a high-priced prostitute who was found dead and he was the last one to see her – he says she was alive when he left her. He’d been at her apartment to collect payment for a job his web-site had sent her out on – he grabbed her by the neck at the time but then left. It was Giselle who had earlier recommended Haller to Lacoste and Haller has to scratch his memory and check the web to remember – yes – Giselle Dallinger, the murder victim this time, was now Gloria Dayton (aka Glory Days) a woman from Haller’s past in many ways – many cases, and professional but non-romantic over-involvement by Haller. Connelly fans will probably enjoy this book, but I’m not big on these tales which get into the seriously bad organized crime guys, corrupt law enforcement (or politicians) with no motive except control of their turf and the big money in drugs. Galbraith’s The Silk Worm was like a breath of fresh air. This is cliché.